We were absolutely bowled over by Finger Lakes Distilling’s white dog / white whiskey, Glen Thunder Corn Whiskey (which got Drink Spirit’s highest rating). When a distillery blows you away with their white whiskey and the quality of their distilling, it makes the level of excitement over trying their aged whiskey even higher. McKenzie Rye Whiskey (91 Proof), made from rye grain grown literally across the lake from the distillery, is aged in new charred oak quarter casks (which gives in a much longer equivalent age) and then finished in sherry barrels from local wineries. The McKenzie Rye has a nice light golden caramel color and exceptional body for a young spirit. 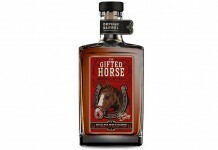 It has a very sweet and aromatic nose with hints of maple, rye and an undertone of dried fruit. The taste is extremely concentrated and intense, much more characteristic of a higher proof spirit but without as much heat. There are tones of bran, maple, bread, rye grain and brown sugar with a hint of the sherry from the casks. McKenzie has a nice kick that comes in the mid notes with some spice and heat and then finishes long and sweet with the lightest hint of smoke. As with the Glen Thunder, the McKenzie Rye is a well distilled spirit with a marvelous flavor profile and nice complexity. It also is a spirit which I am much more apt to drink straight than mix it into a cocktail; it’s got so much going on that I’d rather sit and enjoy it than mix with it. Mckenzie Rye isn’t your typical rye, it’s much sweeter and doesn’t have the same bite or edge. This may turn some people off to it, but we found it to be extremely enjoyable, unique and flavorful. We can only hope that Finger Lakes Distilling will store away some of this Rye in barrel to age for a long time. 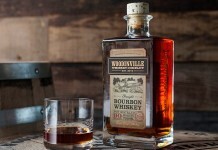 It has some of the underpinnings of a legendary whiskey – even in its yonger state, it is one damn great whiskey. 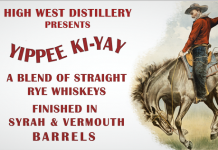 Highly Recommend – an extremely delicious and complex rye whiskey that was expertly distilled, very close to a classic.